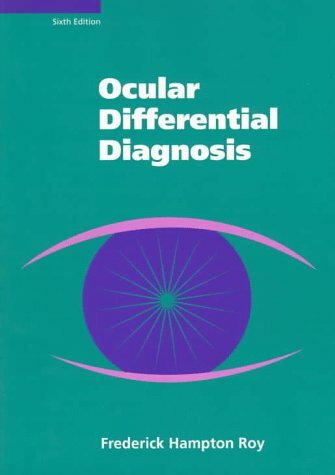 This easy-to-use manual for the office and clinical settings helps eye care practitioners quickly make a diagnosis based on presentation and symptoms. Organized by regions of the eye, it provides straightforward, comprehensive lists of causes for each symptom or finding, as well as drugs associated with each disorder. The diagnoses are listed alphabetically, with the more common and clinically significant ones highlighted by asterisks. The fully updated and revised Seventh Edition features complete and condensed RX/DX for common and uncommon disorders. Practical diagnostic decision tables throughout the text list the most common or important diagnoses at the top and rank all diagnostic possibilities as R (rarely), U (usually), or S (sometimes). Annotated lists of suggested readings appear after each diagnostic description. Readers can find more detailed information on a disorder in Ocular Syndromes and Systemic Diseases, Third Edition.